B.C. 's Attorney-General has pledged to crack down after an investigation in the Globe and Mail revealed drug money was funneled through property transaction loans and repaid to fentanyl suppliers in China. 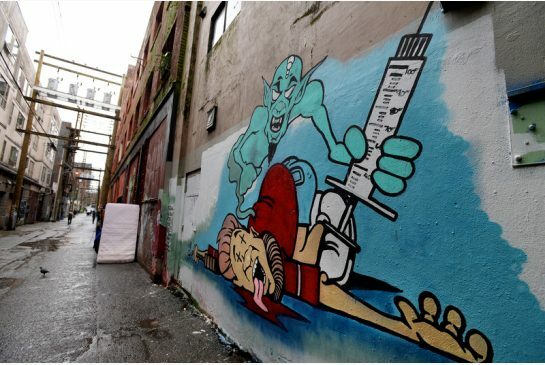 Some profits of the fentanyl epidemic — which killed a record 1,422 in B.C. last year, are being laundered through the province's skyrocketing real estate market. 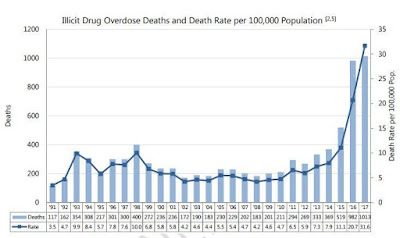 Over roughly the same period, as opioid deaths began to jump in late 2014, property values also soared, pricing many out of the housing market. 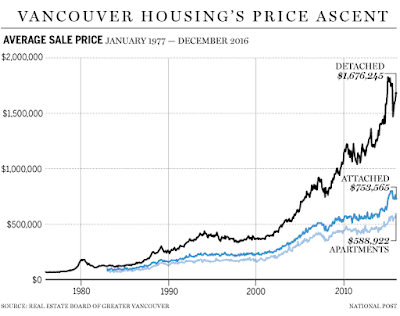 The Globe and Mail says at least "17 such lenders … have collectively claimed a $47-million stake, plus interest, in 45 Vancouver-area properties in recent years."